It’s hard to believe I’ve been shooting concerts for 40 years now, and it’s probably my favourite thing to shoot! The photos above are just some of my favourites from over the past 40 years… Canadian band The Cooper Brothers, on the left, was the second concert I ever shot, October 25th, 1978 at the Commodore Ballroom in Vancouver, 14 years before I moved to Ottawa and discovered they live here! Tom Petty & the Heartbreakers is from December 27, 1979 at the PNE Gardens in Vancouver, Canadian band Whitehorse, from Hamilton, was the last concert I shot in 2017, at the NAC in Ottawa and the shot on the right is Mick Fleetwood saluting Stevie Nicks of Fleetwood Mac on October 26, 2014 at Canadian Tire Center in Ottawa. 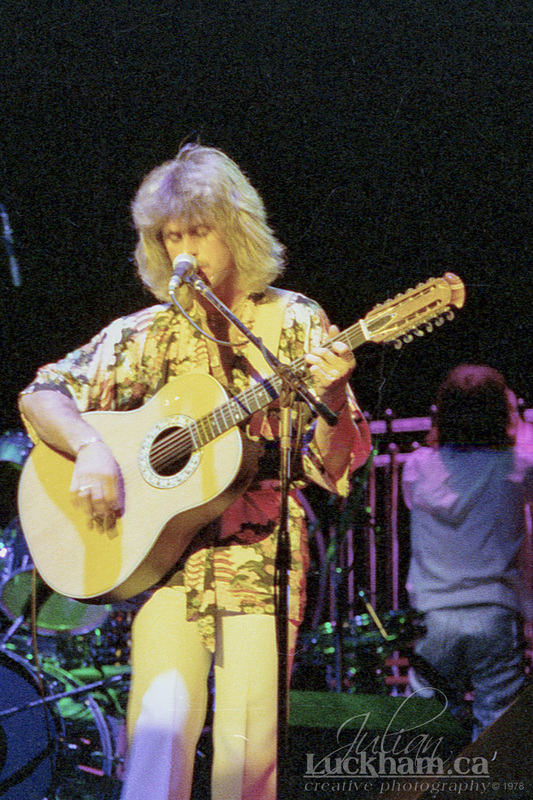 So, what was the first concert I ever shot? 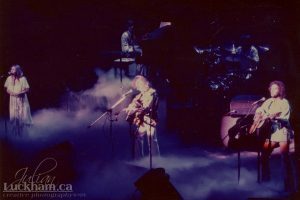 Renaissance, May 22, 1978 at the Queen Elizabeth Theatre in Vancouver (see below), being the first concert I shot my results weren’t very good and the 40 year old negatives are not in the best shape, but here’s a couple of shots from that show, the first is of Jon Camp, one of my all time favourite bass players, just take a listen to ‘Ashes are Burning’ from the ‘Live at Carnegie Hall’ album and you’ll hear why! The second shot shows the beautiful Annie Haslam, and if you’ve never heard Renaissance you owe it yourself to do so just to hear Annie’s incredible 5 octave vocal range, Jon Camp and Michael Dunford, and hiding in the back John Tout and Terrence Sullivan. Here’s a link to a very large gallery of some of my concert photography, it’s a bit of a mess right now as I’ve been sorting and posting and scanning and posting and… well, you get the idea. I’ll be adding more of shows from the 70s and 80s as I find time to get them scanned. If you’re looking for a print of your favourite artist, or need a photographer for an upcoming gig or event, give me a call… as I said, shooting concerts is my favourite thing to do!